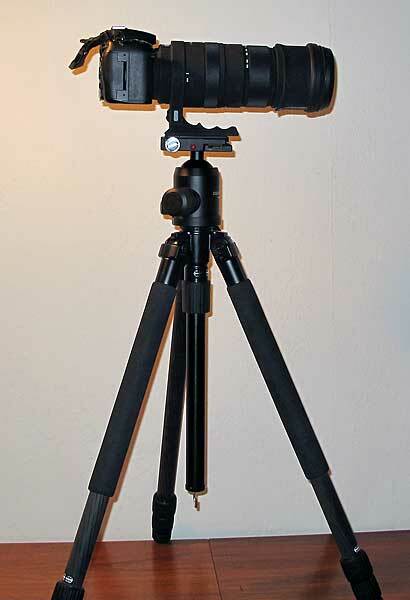 Looking for a lightweight stable tripod at a nice price? Look no further here is the Slik Pro CF 823 ! Why do I say that already in the beginning of this review? as great as it was in the days of analog film based cameras. camera to be at exactly the same position for a long time! an image with either more noise and/or less detail. I intend to use this tripod with my DIY 6x17 camera and occasionally with my DSLR in situations when hand held isn't a good solution. shutter speeds/small apertures for greater , this apply mostly to long tele lenses. images and several images with different focus for infinite depth of field images. market research on the WWW Then I went to a big camera store in Hells Kitchen NYC "BH Photo Video" and made a hands on comparison with the competing brands. I didn't leave that store until I had a CF823 in my hand and it felt like I made a great buy. tripod make me feel that this might be my last tripod purchase! What head to use with this great tripod? ball heads from Cullman so I intend to use them. (My review of the Cullman heads here) . When weight is no issue I will use the large Cullmann Magnesit 35nm WB (40200) at 996gram it isn't light but it sure hold your gear! Arca swiss compatible Quick-Release Platform ! chose the SLIK CF823 in favour of the CF824. rigid and free from flex. transportation (Aircraft cargo loading staff usually don't care for your gear!) 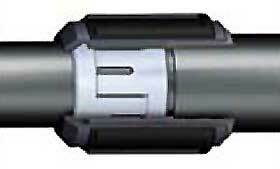 This is also a reason why I start looking at the SLIK CF823. 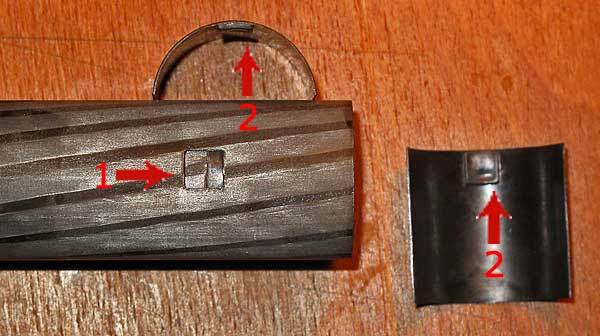 friction locks (more about that below). feels very secure even at a high load without slip. 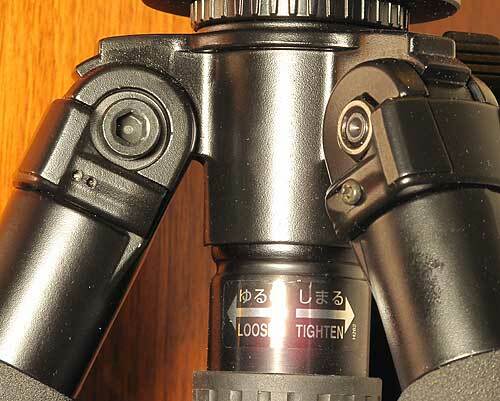 The leg ends of the SLIK CF 823 Tripod have aluminum endings that are threaded. spikes for use on ice! maybe in the DIY section. The leg sections of the SLIK CF823 is of anti rotation design. 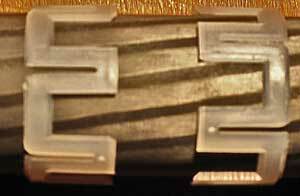 issue on early twist lock designs. This is how the A.R.S system looks. of two ridges that are vital to the A.R.S design. construction of the carbon tube legs. more in detail how it works. 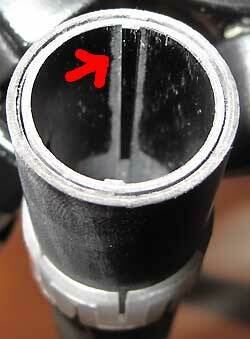 that runs in the gap between the half tubes. the groves in the legs forms the anti rotation system. 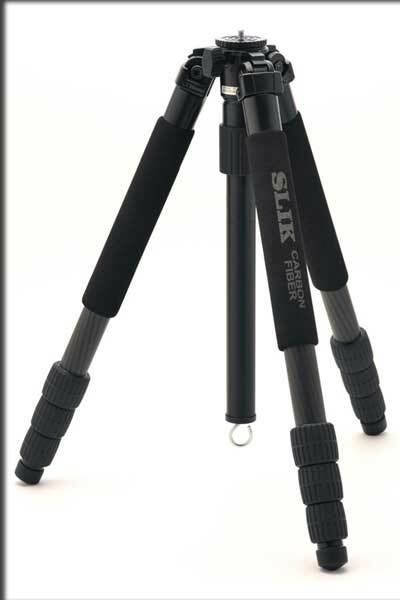 SLIK Carbon fibre tripods a the best price from Amazon here! the mounting plate of the center column! together in a rigid alloy moulding with a decent finish. the whole thing to be standing even more still and vibration free. The usual pros and cons section! 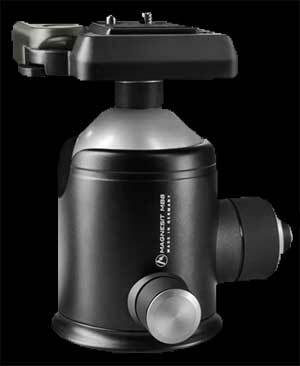 + Doesn't carry a Gitzo price tag (I payed 279usd)! + Hook for extra ballast. + Twist locks that work (I love them, some don't). 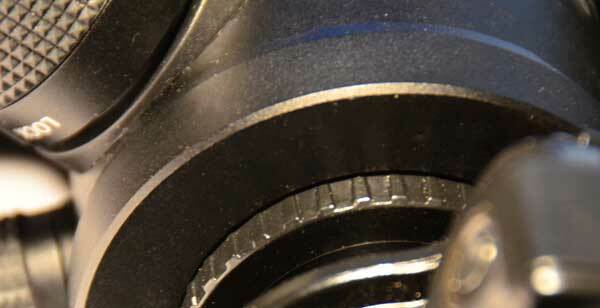 + At 1370mm without extended center column I rarely find need to extend it at all, that's a good thing for stability! + The Slik CF823 was delivered in a nice padded bag with a shoulder strap. The Bag my tripod came in! - It is not a Gitzo and doesn't have the Gitzo finish. - If you don't like twist locks look elsewhere! Designed with the professional photographer in mind. Ultra heavy construction for use with D-SLR and 35mm still camera with long telephoto/zoom lens, large format camera and medium format camera. 3-section leg with 28mm diameter for the first section leg. 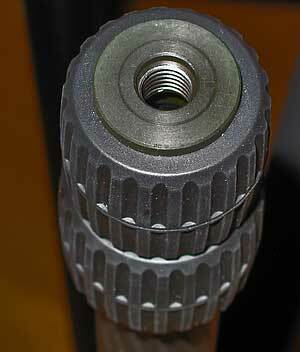 Gearless, detachable and invertible center column for extremely low angle positioning without changing an optional center column. The PRO 823 CF has three leg sections that when fully extended reach a height of 66.3 inches but when completely retracted the tripod is only 23.6 inches in length. It's light-weight of just 3.55 lbs but capability of handling 18 lbs of properly balanced equipment make the tripod an excellent choice for the location photographer with heavy equipment. All of the new SLIK PRO carbon fiber tripods feature a new A. R. S. (Anti-rotational System) with improved rubber grips make this tripod much easier to operate. So the PRO 824 CF would be usable with the highest number of tripod head from SLIK and others the tripod has a reversible 3/8 – 1/4-20 mount post. Carbon Fiber material is actually comprised of layers of woven carbon strands that are then baked together in a high-pressure furnace. When finishes this material is as much as 40% lighter than aluminium and very rigid, making it for applications from space vehicles to tripod legs. 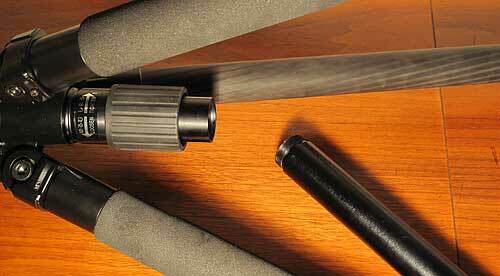 Slik sources it’s carbon fiber tubing in Europe from a manufacturer that specializes in carbon fiber. All the New SLIK PRO carbon fiber tripods feature a new A.R.S (Ant-Rotational System) designed into the legs and log locks. The A.R.S. systems prevent the leg tubes from rotating inside each other making it much easier to lock and release all the twist-release locks securely. 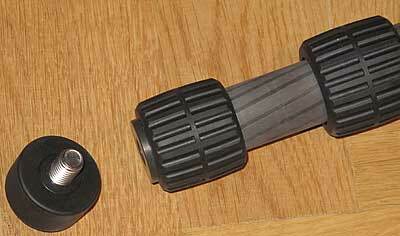 The size of the rubber grips have also been increase in diameter to make them easier to operate. 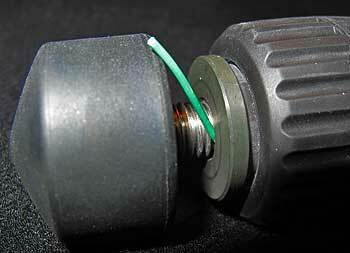 Twist lock system with double nut ring (crown-cap) type (PAT.). Each leg has an independent lock that sets in one 3 angles to vary the height and stance of the tripod. The three setting are for maximum height, waist level or low angle photography close to the ground. It also makes it easier to set up the tripod on uneven ground, steps or rocks. The center columns unscrew into two piece to create a much shorter column for use in low angle photography the center column is made of high grade aluminum. 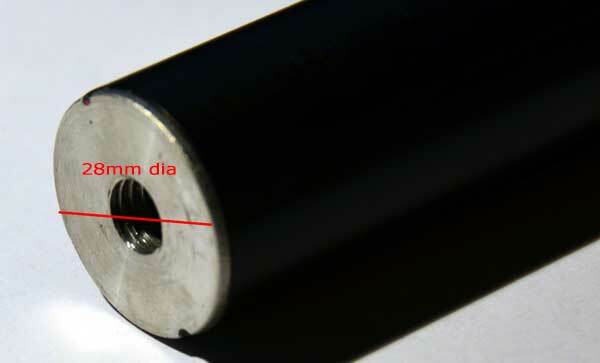 Diameter of center column is 28mm and the end has a female 3/8 camera thread. 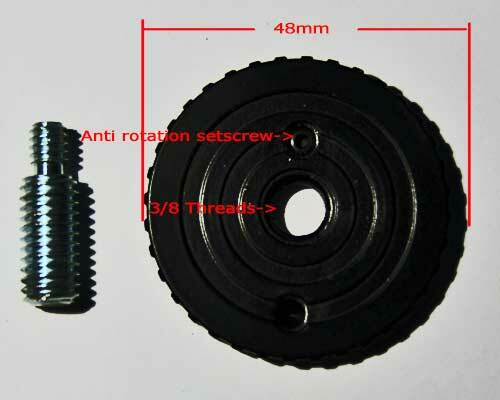 Included is also a cast aluminum top disk with 3/8" camera thread and a 1/4" -3/8" adapter screw, the disk itself is 48mm in diameter. 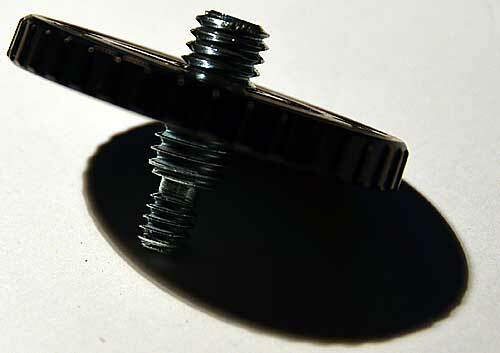 The disk also has a setscrew to prevent the disk to rotate with your head of choice during installation and removal. Below: Cullmann Magnesit 35nm WB (40200) interfacing with the top disk, tote that the disk doesn't manage to bridge the last gap on the ball body structure. 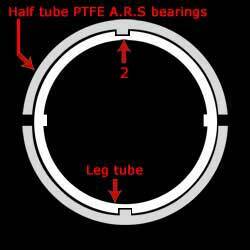 This can be easily solved you simply just buy an aftermarket platform or fabricate your own D.I.Y disk of a greater diameter. It is also possible to just simply skip the disk, the last option would probably be the best since this way you get a minimum of interfaces with potential un-flat surfaces make sure that you selected ball has a base that is flat and make good contact with the center column top. However my experience during my ownership of this setup is that my conserns was unnessesary and the rigidity between the tripod/disk/ball head is great. can unscrew them self, he lost a foot this way. 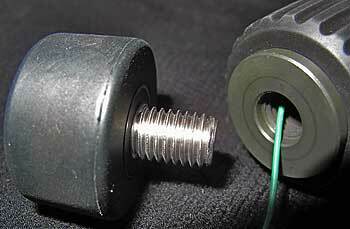 The solution to this issue is to give the threads a bit of friction. Some of the Gizo tripods could also be an option just if it wouldn't have been for t pricetag that are similar to the RRS tripods! Comments on the Slik CF823 here!